We discuss the final catalyst for the global asset market crash in this video, it starts and ends with Mario Draghi and the ECB, take away this 80 Billion Euros from hitting developed financial markets each month, and the entire system collapses, the quintessential Ponzi Scheme if ever there was one. The FTSE is overvalued by a substantial margin, and is a long-term short! 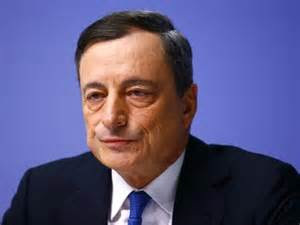 Central Bankers have been more irresponsible than any malfeasances that occurred in the Financial Crisis of 2007, they have set the stage with unsound, extreme monetary policies that barely helped the real economy, and succeeded in inflating the biggest bubble in Financial Markets History, that is going to cause The Biggest Global Recession in Modern History. The amount of Capital getting destroyed from such ridiculous levels is going to make the financial crisis look like a speed bump in comparison when this Ponzi Scheme Can Kicking Extreme Monetary Policy Experiment Implodes!